Fuse 2.0 is a new range of signature cocktails that was launched at Wink at Vivanta by Taj – President a few days ago. 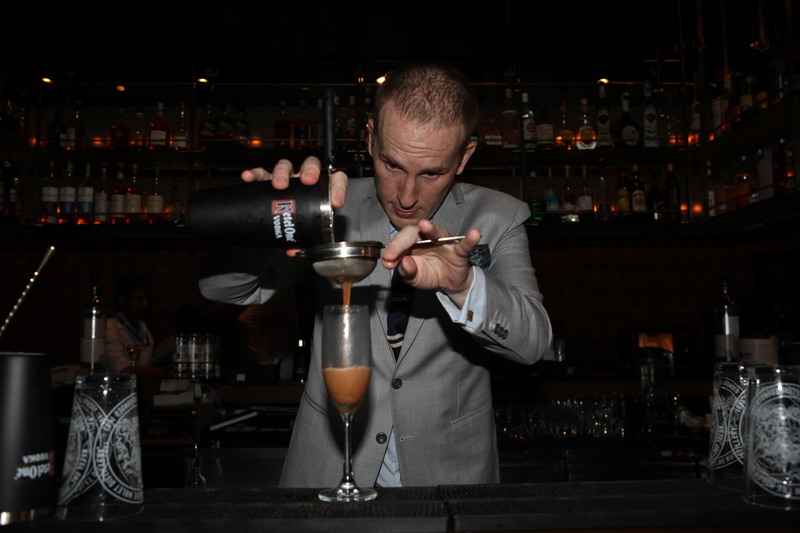 Created by Diageo Reserve Brand Ambassador Tim Etherington – Judge (also of the #BombayCocktailClub fame), the six cocktails in the collection will be exclusively available at the Vivanta by Taj properties across the country. The Fuse 2.0 menu has Tim’s recipes that are specially crafted for six Indian cities – Fresh Apple Pie for Mumbai, Berry Ristretto for Bangalore, Water Falling for Hyderabad, Rasam Mary for Chennai, Chamomile Mar-tea-ni for New Delhi and Mai Cai for Pune. All these use Ketel One vodka as a base, except the Chamomile Mar-tea-ni which uses Tanqueray No. Ten as a substitute. My favourite by far was the Chamomile Mar-tea-ni – zesty, refreshing and perfectly balanced. The cocktails are available for Rs. 600 + taxes. Tim shares the inspiration behind each cocktail and the recipes here.